Tomorrow is St. Nicklaus in Germany and a very important tradition if you are a kid. I used to believe that you only clean your boots once a year – the night before St. Nicklaus! I was devastated to learn that you not always find candy in your boot when you clean them. When I was a kid I never had toys or expensive little presents in my boots. It was simple: one boot was with chocolate and stuff and the other was filled with walnuts an orange. Of course this one was kinda boring but I remember the year when there was no orange. I felt sad, something was missing. So if you put oranges in, this one is for you. And if not, why don’t start a new tradition? All you need for todays DIY is a linocut carving tool and an orange is all you need! 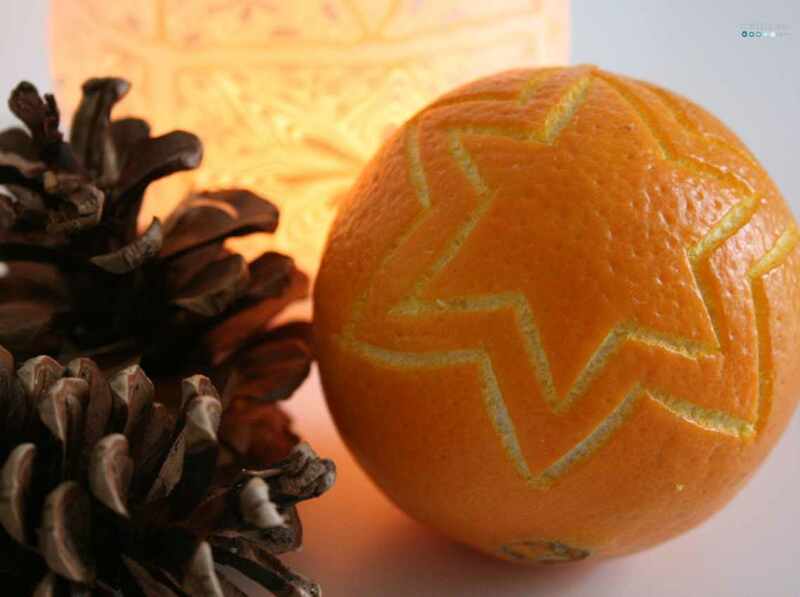 Carve a star into the skin of the orange but make sure not to go too deep. You still want some of the white skin cover the fruit otherwise the orange will be spoiled in a couple days. 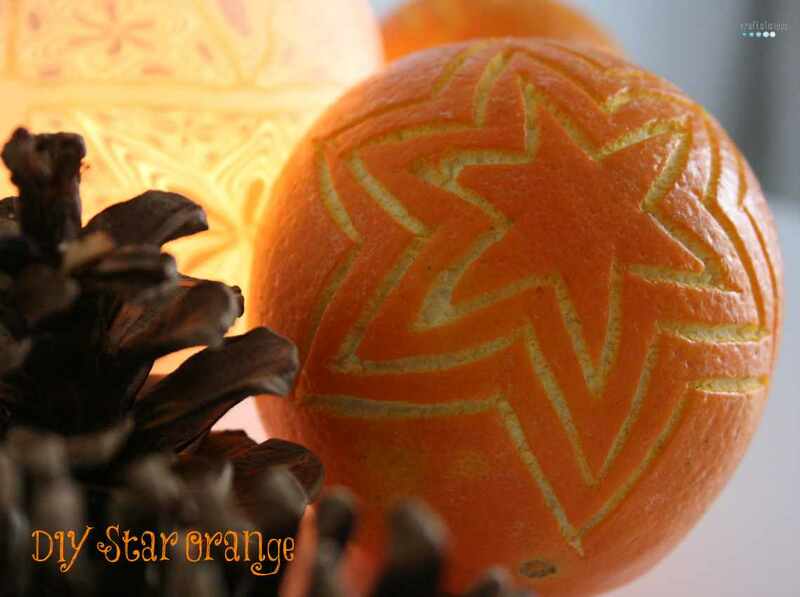 Your star orange will spread a wonderful scent throughout the house. ganz herzlichen dank für deinen lieben kommentar zum türchen nr. 3! :) es freut mich sehr, wenn es dir gefällt. ich hatte jetzt endlich auch mal zeit, durch deinen blog zu stöbern – sehr schöne sachen machst du hier. 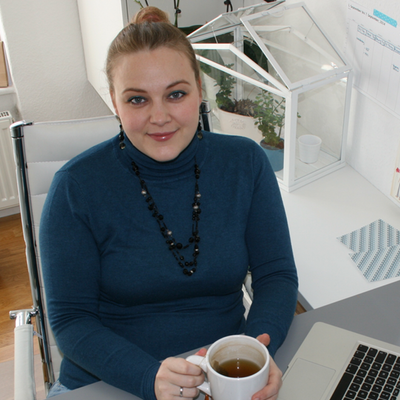 ich hab dich gleich mal in meine bloglovin-liste aufgenommen. Hallo Frau S. und herzlich willkommen.